At 21:40 GMT (22:40 CET) on Tuesday 18 December, ESA astronaut Alexander Gerst will hand over command of the International Space Station to Russian cosmonaut Oleg Kononenko. 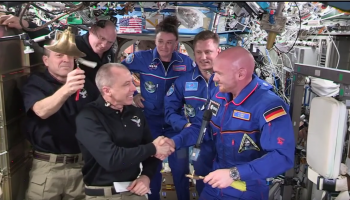 The ceremony will be broadcast live on NASA TV below and is one of the final acts of Alexander’s Horizons mission before he returns to Earth alongside NASA astronaut Serena Auñón-Chancellor and Roscosmos cosmonaut Sergei Prokopiev on Thursday. The ringing of a bell on board and a symbolic hatch key handed from one commander to the other will signify the change in leadership. Alexander’s time as the second ever European in command of the Space Station has been eventful. The launch abort of Soyuz MS-10 carrying NASA astronaut Nick Hague and Russian cosmonaut Alexei Ovchinin left him down two crew members until NASA astronaut Anne McClain, Canadian Space Agency astronaut David Saint-Jacques and Oleg arrived on 3 December. Despite the challenges, it has been a successful second mission for Alexander. 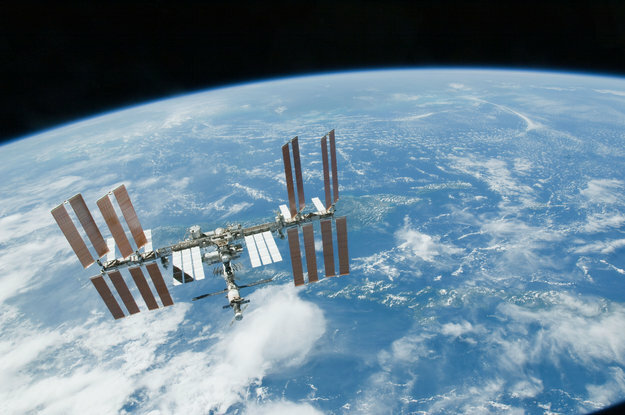 Read more about what lies in store when an astronaut returns.